Teamwork is imperative to business success simply because you cannot do it all. This extends in many directions including business partners, up and coming talent, key leaders, employees, franchisors, and vendors. The reality, however, is teamwork is not a natural behavior. As humans, our natural tendency is to focus on our self-interests because we are not “wired” to consider our impact on others. We tend to be competitive, ambitious, driven by our own motivators and inclined to overlook others’ contributions to our success. Now, if your first inclination when reading this, is “well this can’t be me,” perhaps take a quick second and self-reflect. We are human, no one is perfect, so there’s always opportunity for improvement and growth. We all naturally have selfish moments. The key take away here is to question is that the norm? Either way, when you feel you have stepped in it, have you developed the humility to address it with your team? Your approach to teamwork acts as role model behavior to all those in your organization – it is up to you to set the tone. A leader’s source of power and influence either comes from a positional or social/personal perspective. Positional influence is commonly a factual or implied superior role such as a department manager, boss, or what you might expect with a parent to a child. This type of leadership gains compliance, sometimes in a malicious manner. Social refers to pressure applied through various forms of relationships such as team members who feel highly valued, or a close friend. This type of leadership has a greater tendency to create buy-in to the team’s purpose. Am I consistently a good role model for collaboration and teamwork? Do my affirmations, motivation incentives, and recognition programs address and reward team versus individual achievements? Do I make an effort to convey to my team members that I value and respect them as persons, not just production units? Am I respected as a team member, not just a team leader? Is my team operating at maximum efficiency to enhance performance or are my managers operating on a “turf management” basis? Do I (or do my managers) encourage my key managers to meet periodically to discuss how departments can support each other in a team fashion? Do I have (or am I) high performers that operate by their own set of rules? Am I known not to accept mediocrity first in myself and second in my team members? Am I known as a servant to other team members of the team? Do I give my team member the benefit of the doubt? Effective leadership focuses on influencing others in such a way they develop a commitment to the vision, mission, and goals of your organization, rather than forcing people to fall in line. It means, not just being the leader, but also part of the team, which means showing, if needed, that you will “get your hands dirty” as well. By being a role model for teamwork, you can then motivate the team around the common goal, whether that be increased revenue per unit, increasing number of units, or a “give back” initiative to the community, rather than the one driving the results. With this approach in mind, effective leadership focuses on developing teams that are committed to the pursuit and accomplishment of a goal versus individuals or the team being committed to an individual. Team dynamics can be taught, supported, and ultimately imbedded within your company’s culture if all are truly dedicated to quality, performance, and customer satisfaction. 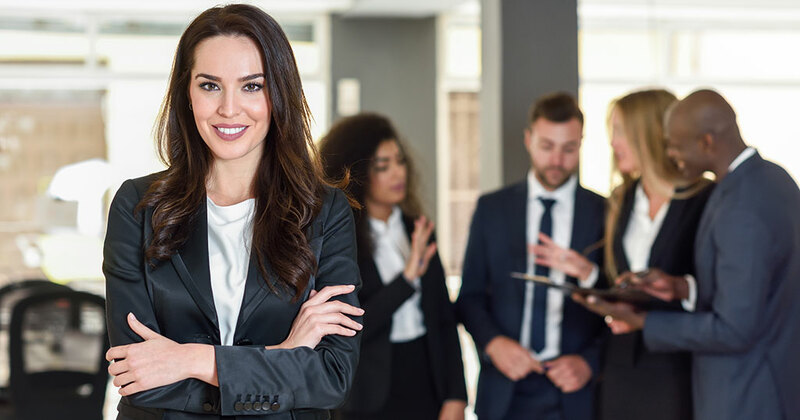 As the business owner and the leader of your multi-unit franchisee organization, it is critical that you set the standard for how to be an effective leader as well as team member, which sets the tone for your organizational culture. The leadership style of the multi-unit franchisee owner or key leaders in the organization are your most powerful organizational resource. If you enhance your awareness of the diversity of ways in which you influence the motivations, behavior and productivity of team members, you can then lead by example for your team.